The classic “Cherry” is from UFO seventh studio album “Obsession”, released in 1978. This was the final studio album to feature Michael Schenker on lead guitar until he returned to the band in 1993. A single from the album, “Only You Can Rock Me” / “Cherry”, was also released in 1978. So too was the band’s first 3-track EP “Only You Can Rock Me”, “Cherry” / “Rock Bottom”, reaching No. 50 in the UK. The album was recorded at an abandoned post office in Los Angeles. UFO are an English rock band that was formed in London in 1968. They became a transitional group between early hard rock and heavy metal and the new wave of British heavy metal. The band’s current lineup includes vocalist Phil Mogg, lead guitarist Vinnie Moore, bass guitarist Rob De Luca, and drummer Andy Parker. They have gone through several line-up changes, leaving Mogg as the only constant member, and had two hiatuses (1983–1984 and again from 1989 to 1991). The band are also notable for featuring former Scorpions guitarist and MSG founder Michael Schenker, who was a member of UFO from 1973 to 1978 and again, occasionally, between 1993 and 2003, when Moore replaced him. In May 2018, Mogg announced that he will retire from UFO after one last tour as a member of the band in 2019. Over a career spanning 51 years, UFO have released 22 studio albums, 14 live recordings, 16 compilation albums and one album of cover songs. 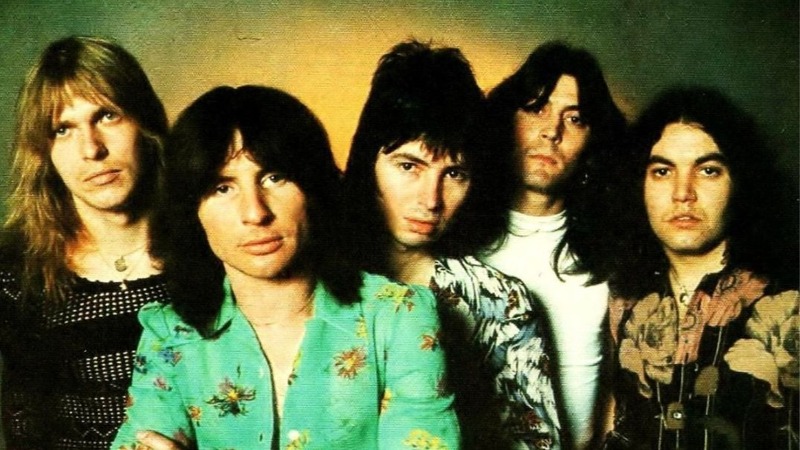 They achieved moderate success in the late 1970s and early 1980s with several albums and singles (including their 1979 live album Strangers in the Night) in the UK and US Top 40 charts and have sold over 20 million records worldwide.